It’s time to get the kids ready to go back to school once again. We have all the help you need to get them ready and settled in to the new school term here at BTS Magazine. Read the UK’s No.1 parents’ guide to getting the best out of school today. Click the button below to start reading. How to pass on to your pupil’s parents. BTS Magazine: The UK’s number one parents’ guide to getting the best out of school and family life. Please visit our School Sharing page to copy & paste a short blurb on our magazine into your newsletter or website. Opt-in to BTS Magazine today to receive issues the day they are published. FREE TO EVERY PRE-SCHOOL & PRIMARY-SCHOOL IN THE UK. Get The Best Out Of School For Your Child. It is packed with great advice for parents on everything from starting school to surviving SAT’s, helping with homework to luscious lunchboxes. We cover the hottest topics such as recycling, road safety, screen time and bullying, as well as providing up to date curriculum information. 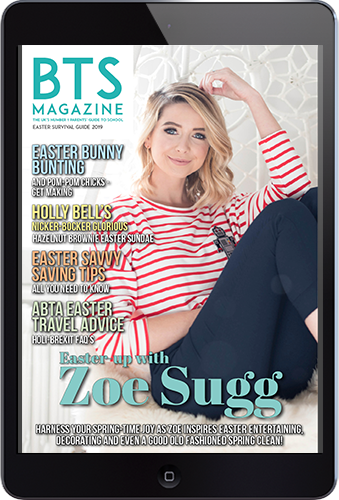 With recent contributors including Julia Donaldson, Lauren Child, Professor Brain Cox, Deliciously Ella, Carol Vorderman and Great British Bake Off’s Holly Bell… BTS Magazine is your essential guide to school and family life. Subscribe to BTS Magazine today to receive issues the day they are published. FREE TO EVERY PARENT/GUARDIAN OF PRE-SCHOOL & PRIMARY-SCHOOL CHILDREN IN THE UK.